Wild World gets a live airing with added Craig David goodness. 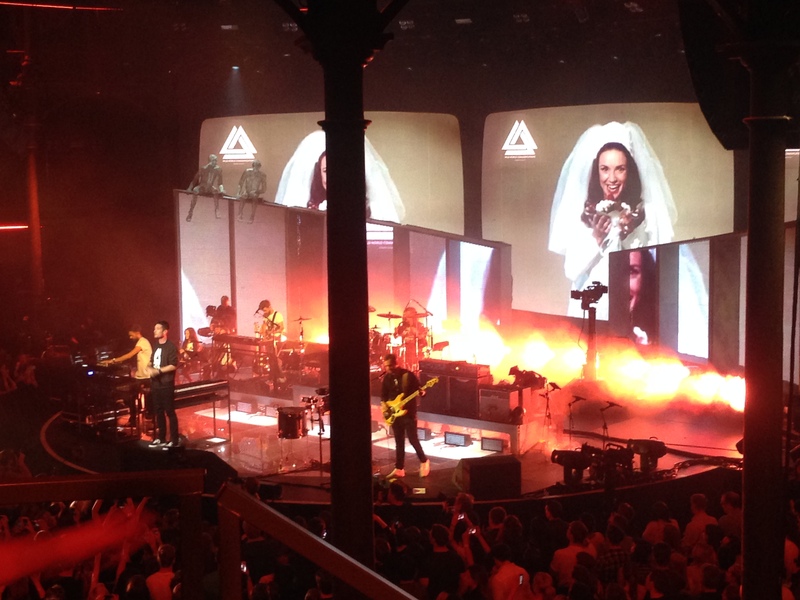 Bastille stormed the stage of London's Roundhouse last night (September 26th) as they took over Apple Music Festival in support of their rather excellent new album Wild World. And we were there to capture all of the action first hand, documenting our full emotional fangirl breakdown for you in full below. Here's what went down (spoiler - may feature the legendary Craig David). 1) Well, this is certainly the swishest press pass I've ever seen. 2) The Roundhouse has airport levels of security tonight. Probably explains the INSANE queue of fans moving at the pace of a drunk toddler. 3) Can't quite decide whether the Camden-themed cocktails on offer are cute or unbearably pretentious. 5) Better find my seat, this place is harder to get around than the ruins of Pompeii (get it Bastille fans? Amiright ladies? 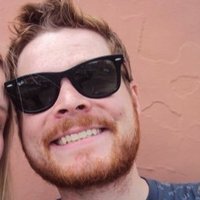 Is this mic on? etc etc). 6) Countdown time! Crowd goes appropriately nuts. 7) And we're off. With "Send Them Off!". 11) Nah, it's "Send Them Off!". 12) LOVING the matching t-shirts boys. You look like you're leading an anti-drug rally at a community centre in Wisconsin. It's LIT. 13) Stage set is crazy too. These on-screen visuals will look amazing on the arena tour. 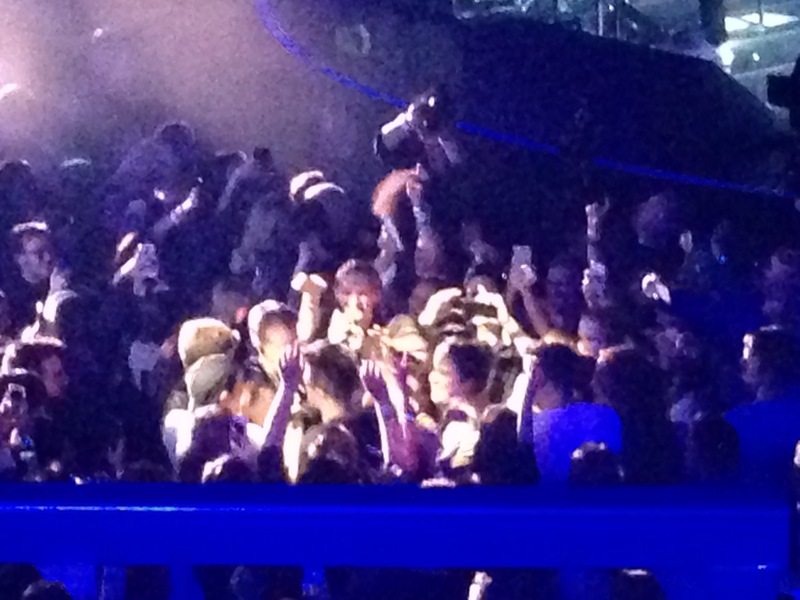 15) Dan's having a little wander through the crowd now. If you look closely at the below photo you can just about see the top of his haircut. 16) Did that girl just pull his hair? 17) Oh, this is why there's all the airport security! 18) He's back on stage. Everybody calm down. 19) "Lethargy". OK it is the best song on the album. 20) Apparently there's a "special guest" coming out for this one. My money is on another Apple fest act. Robbie? Britney? Mickey Bubbles? 23) It f*cking is as well!!! 24) ACTUAL CRAIG DAVID IS IN THE BUILDING PEOPLE. 25) Now they are doing "Fill Me In" over "Where Are U Now". What is happening?!? 26) "THIS IS THE RHYTHM OF THE NIIIGGHHTT, THE NIIIGGHHHHT, OOOOOH YEAAAHHHH"
27) Think I need a minute to recover. Time for a loo/bar break. It's all a bit emotional this innit? 30) And we out. In summary, Bastille showcased their new album perfectly to millions online, got some decent rehearsal time in for the big arena tour later this year and gave the fans a chance to get up close and personal. A good night had by all then. 31) Tube home is packed with gig goers. Thinking of starting a singalong but choose to bury head in my phone instead. 32) Wait, what's this tweet. 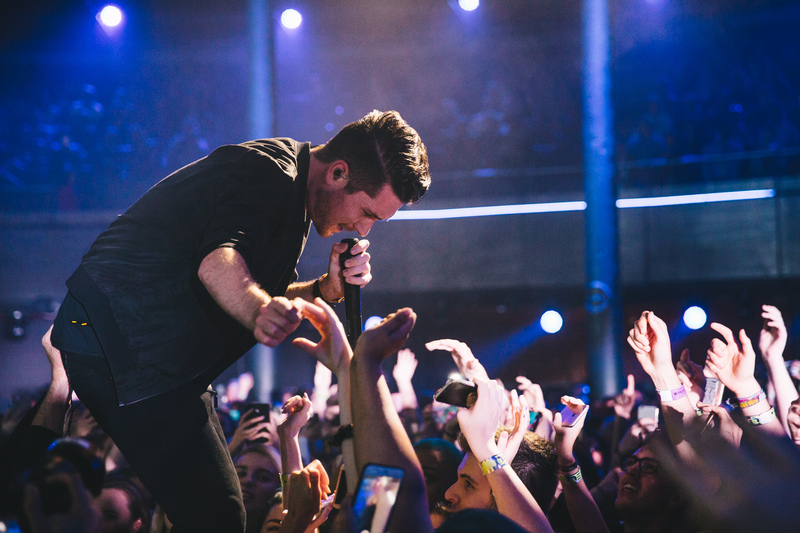 Bastille return to the UK this November for a full arena tour. Wild World is available now.